Socio-spatial polarization is increasing in large cities throughout Europe (Tammaru et al., 2016). Socio-spatial polarization refers to the process where the gap between the rich and the poor is increasing, which is translated into spatial segregation along ethnic or socioeconomic lines. In the European context, this has resulted in distinctive spatial patterns in large cities where the rich are increasingly located in historic city centres, while the poor reside in the more disadvantaged outer-city neighborhoods (cf. Hulchanski, 2010; Van Eijk, 2010). Despite substantial government investments to counteract such socio-spatial polarization over the past few decades, this process seems to be persistent, though it varies over time and between places (Bailey, 2012). In most of the studies on socio-spatial polarization the continuous dynamic character of neighborhoods is neglected, reducing neighborhood change to comparing two points in time. However, neighborhoods are constantly changing in their population composition as the result of residential mobility and demographic events, thereby changing the aggregate status of neighborhoods. Many studies investigating neighborhood change focus on exceptional cases of gentrifying or declining neighborhoods (Bailey, 2012; Bailey et al., 2013; Bailey & Livingston, 2007; Clark et al., 2006; Finney, 2013; Hochstenbach & Van Gent, 2015; Jivraj, 2013; Van Ham et al., 2013). Although these studies have provided important insight in the drivers behind neighborhood change, they are typically limited to time-specific case-studies in particular cities. As a result, we do not know if neighborhoods with similar characteristics experience similar processes of change over time – or if processes of gentrification or downgrading are the exception to the rule. In addition, we have limited understanding of how processes of gentrification and downgrading affect other neighborhoods. As neighborhoods do not operate in a societal and policy vacuum, changes in one neighborhood are likely to affect other neighborhoods as well. It has, for example, been argued that processes of urban restructuring or gentrification are likely to lead to new concentrations of deprivation in other neighborhoods through the displacement of low-income groups (Bolt et al., 2009). As such, the upgrading of one neighborhood might go hand-in-hand with the deterioration of another neighborhood (Bråmå, 2013; Musterd & Ostendorf, 2005a). In addition, many studies in this field rely on percentile shifts and point-in-time measures to analyze change, neglecting the possibility that development over time might be more non-linear than linear or need much more time to take effect (see also Van Ham & Manley, 2012). Because the physical structure of neighborhoods hardly changes, neighborhoods can maintain their overall status over longer periods of time (Meen et al., 2013; Tunstall, 2016). However, selective mobility and demographic events lead to a constantly changing population composition (Van Ham et al., 2013). In this paper we argue that to fully understand processes of neighborhood change, the next step in neighborhood research is to focus on detailed neighborhood trajectories and to identify typologies of neighborhood change over longer periods of time. Analyzing interrelated neighborhood trajectories and understanding why some neighborhoods are more prone to change than others is therefore highly relevant to the debate on spatial manifestations of inequality and neighborhood development. In this paper, we present an approach for analyzing neighborhood change by focusing on long-term neighborhood change combined with a detailed analysis of neighborhood trajectories. Focusing on the trajectories of low-income neighborhoods in the Netherlands over the period 1971-2013, we analyze the role of physical characteristics in neighborhoods change. 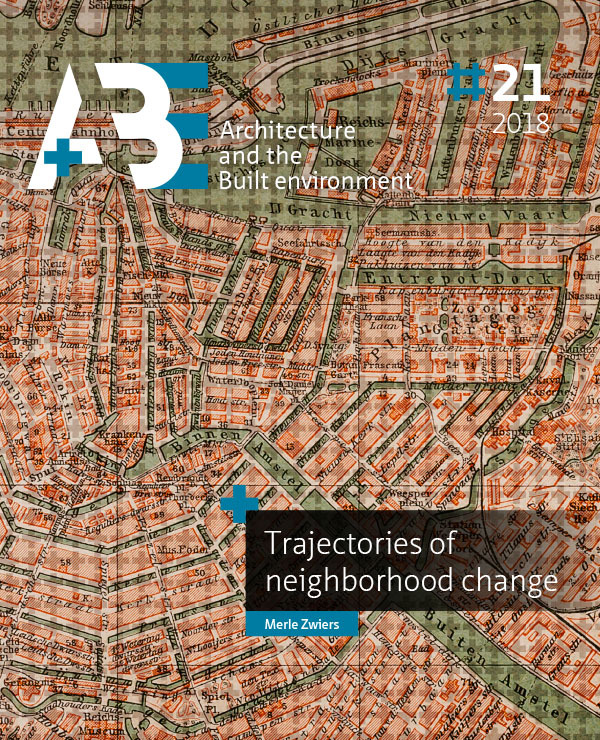 In the Dutch context, neighborhood and housing quality is often related to the debate on neighborhood change, however, few empirical studies try to analyze to what extent physical characteristics are related to today’s spatial patterns. Different starting positions in terms of housing quality can have long-lasting effects on neighborhood status through processes of path-dependency (Meen et al., 2013). In addition, because the Dutch government has invested heavily in urban restructuring by changing the share of owner-occupied and social-rented dwellings in particular neighborhoods, we analyze the effect of demolition and construction on the different neighborhood trajectories. Changes to the housing stock generate mobility processes and may thus affect neighborhoods in both direct and indirect ways. To analyze neighborhood trajectories we use a combination of methods. Sequence analysis allows for the analysis of complete pathways through time and is therefore a promising method for longitudinal neighborhood research. Sequence analysis is gaining popularity in the social sciences and is increasingly used by researchers interested in patterns of socio-spatial inequalities (e.g. Coulter & Van Ham, 2013; Hedman et al., 2015; Van Ham et al., 2014). However, sequence analysis is ultimately a descriptive method and its potential for explaining trajectories is limited. Researchers have therefore developed a methodological framework that combines sequence analysis and a treestructured discrepancy analysis, allowing for the analysis of the relationship between covariates and sequences (Studer et al., 2011). As such, this framework can provide insight in how different covariates affect neighborhood trajectories in different ways. To our knowledge, this paper offers the first empirical application of this combination in the field of urban research, constituting a new approach towards researching neighborhood dynamics and a move towards the visualization and analysis of complex trajectories. In this paper, we only highlight the most important aspects of the combination between sequence analysis and a tree-structured discrepancy analysis. Based on our presentation, researchers should be able to get a basic understanding of both methods (for a full understanding of sequence analysis researchers are referred to Gabadinho et al., 2011; for a tree-structured discrepancy analysis to Studer et al., 2011). The remainder of this paper is organized as follows. We start with expounding our approach for analyzing neighborhood change. We then move to describe the combination of sequence analysis and the tree-structured discrepancy analysis in more detail. In the data and method section, we elaborate on the structure of the dataset and the methodological choices made. We then discuss the substantive results and reflect on the applicability of the methods for neighborhood research. ZWIERS, Merle; KLEINHANS, Reinout; VAN HAM, Maarten. The path-dependency of lowincome neighborhood trajectories: An approach for analyzing neighborhood change. A+BE | Architecture and the Built Environment, [S.l. ], n. 21, p. 61-78, dec. 2018. ISSN 2214-7233. Available at: <https://journals.open.tudelft.nl/index.php/abe/article/view/3526>. Date accessed: 26 apr. 2019. doi: https://doi.org/10.7480/abe.2018.21.3526.